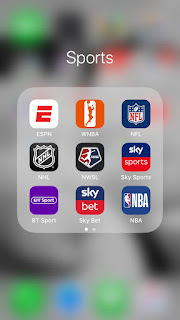 ESPN- This is a fairly new app I have downloaded but is slowly becoming one of my favourites as it has all of my favourite sports and teams in one place for me to keep track of. 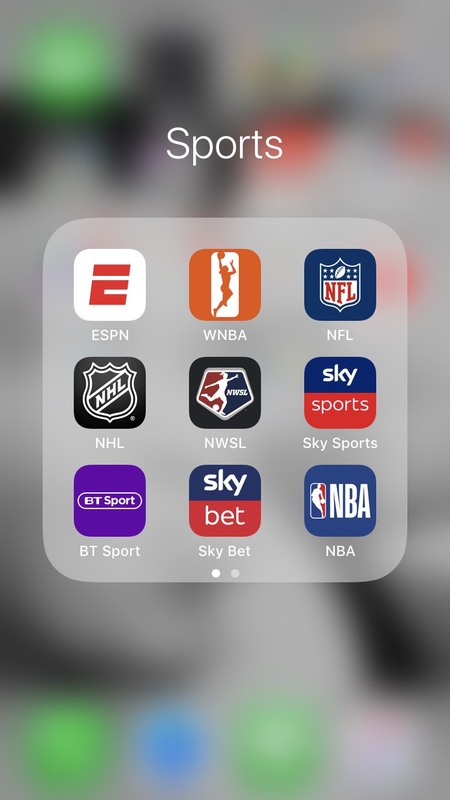 WNBA - This is also a pretty new one as I am finally giving the WNBA a go, for years I have been in and out of watching the NBA but its time to give the women's game a go. I love this app already as I can keep up with all the latest news, games and even stats. There is plenty of content hidden in this app that I cant wait to look into a bit more as the season begins. NFL - One of my favourite sports at the moment, I love the NFL every year we watch the Super Bowl and I follow all the latest on my Eagles. This app is perfect as not only do I have the news tab for all teams but there is a specific one just for the Eagles as I put them as my preferred team, meaning all the news is in one place. It is also great for finding out the standings each week. NHL - This app is very similar to the NFL one, with a designated tab for my Flames then the NHL latest and standings. I am trying to get more and more into my hockey and fully support the Flames so this is a great way to start. 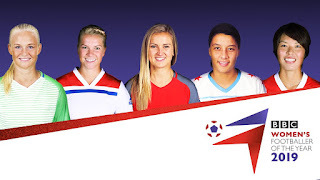 NWSL - This is my favourite app as it is one of the biggest leagues I fully follow. I can use the app to keep up to date with latest new, team rosters and standings. It is also one of the best ways for me to find the full schedule and have it all in one place. It is also where I can find out the leading scorers, along with player and team stats, which are all useful for the blog. Sky Sports - I love this app and I still haven't fully set it up. Not only can I track all sports from this but I can also personalise it to what I love the most. The first page is top stories, football scores and transfer centre which is perfect for me. I can also watch highlights through this along with live TV, perfect for whilst I am out and about. BT Sport - This has been my go to app lately as it is my only way of watching what is on BT Sport. Thanks to this I can watch plenty of footballing action including plenty of women's games. It has even made me get into the A-League bringing more football to my attention. I recently noticed they also show a fair bit of AFL on here so I think that may be the next thing I start watching. Sky Bet - Now I don't use this religiously like the other apps. I just put the odd £5 on football every few month, not that I ever win much back. NBA - This app is another I can't wait to get using more, its great how you can personalise the experience (just need to get signed up). It is great how I can keep up with news and watch the best bits from the games. Plus you have the section where you can keep up with the games day by day, showing the results once they are played too. Plus you have the handy standings section which is broken down to league, conference and division. I can't wait to start following the NBA a lot more as it is a sport I am always in and out of. MLS - The MLS app is another recent download that I can't wait to use more and more. 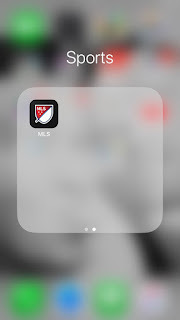 With the latest news and videos along with scores and schedules this is going to be the perfect app for me as I get more into the MLS (check out my post about this here) I also have the handy Orlando city tab where I can keep up with the latest news, videos, schedule and roster. Alongside this we have the standings tab where not only can I see this seasons standings but also the previous 2 years. There is plenty more to this app which I can't wait to look around and play about with. So there you have it, those are the sport apps I am currently using, I can't wait to use these more and more to help me keep track of the sports I love. If you want a more in depth review of any of these apps please let me know.